Half (47 percent) of low-paid young mums and dads are struggling to manage work and childcare, a new TUC report has revealed on Friday. More than two in five (42 percent) said they felt penalised at work when they asked for flexibility – telling the TUC they are subsequently given fewer hours, worse shifts or even losing their job. The study of more than 1,000 low-paid mums and dads is part of the TUC’s new campaign for better jobs for mums and dads. A survey and focus groups with low-paid parents found that today’s irregular hours are to blame for low-paid parents finding it harder to manage work and childcare. And many feel at the mercy of indifferent employers who can change their working hours on a whim. 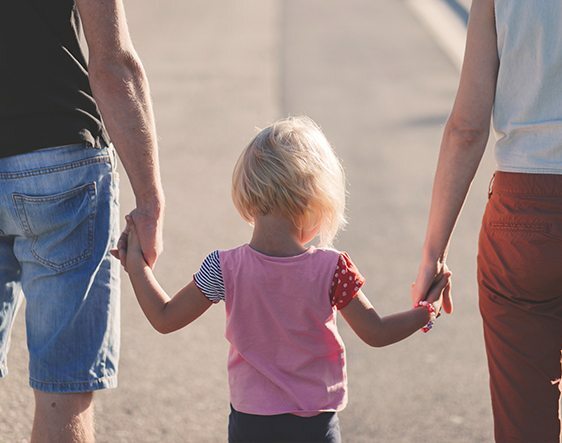 One in four (26 percent) parents told the TUC they had their shifts changed at short notice, and one in five (19 percent) had been given their rota less than a week in advance, making planning childcare very difficult. In addition, more than half (58 percent) of mums and dads working in low-paid sectors like retail, hospitality and social care said that they didn’t know what rights at work they were entitled to. Nearly two in three (63 percent) weren’t aware of their right to unpaid parental leave. As a result half (49 percent) weren’t using one or more of their legal rights to time off. That meant they ended up taking sick leave or holiday to cover childcare – nearly one in three (29 percent) had resorted to taking annual leave to cover their child being sick in the last year – and some were even prevented from leaving to look after their children in an emergency. These working parents felt that language about “flexible working” and “work-life balance” didn’t apply to workers like them. The TUC is calling for all workers – including mums and dads – to have the right to be notified of their shifts one month in advance. That will mean working parents can plan childcare commitments and do their jobs. And the TUC is campaigning for all working parents – including zero-hours contracts workers, agency workers and those in casual work – to have the same parents’ rights, from day one in their jobs. Currently these rights are only available to workers with “employee” status – meaning 1.5 million workers won’t have access to these rights if they become parents. TUC General Secretary Frances O’Grady said: “Too many workplaces expect mums and dads to forget all about their kids as soon as they walk through the door. But it’s a nightmare to plan childcare when your boss changes your shifts at the drop of a hat, and you never work the same weekly hours twice. “Many parents fear losing shifts, taking unpaid leave or being viewed badly at work if they need time off to look after their kids. And it is shocking that some mums and dads are being stopped from taking their children to hospital when they are sick.